Eric Schwartzman specializes in social media security awareness, ethics and compliance, digital strategy, social media audits, social media policy development, social media compliance, social media marketing, search engine optimization and web development. Schwartzman founded iPRSoftware and is the author of the best selling social media marketing book “Social Marketing to the Business Customer,” the first book on business-to-business applications of social media. Privacy awareness training for social media is an online privacy training course for employers, recruiters, HR managers and supervisors on digital workplace surveillance, employee monitoring and employee privacy rights. Social media is blurring the boundaries between public and private, and making it more challenging than ever to maintain oversight and respect your employees’ personal privacy rights. 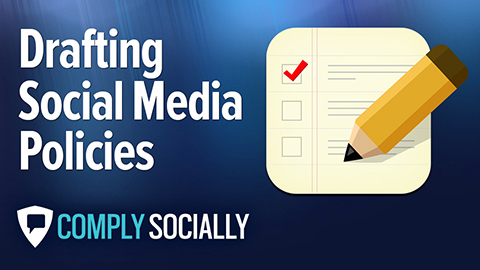 Learn best practices for using social media for pre employment screening, This course is appropriate for HR Managers, recruiters and anyone else who manages or supervises employees. Marginalize invasion of privacy risks of employee monitoring software. Need a training to inform employees of your right to monitor their computer or smartphone use? We have a separate privacy awareness training on social media for employees.